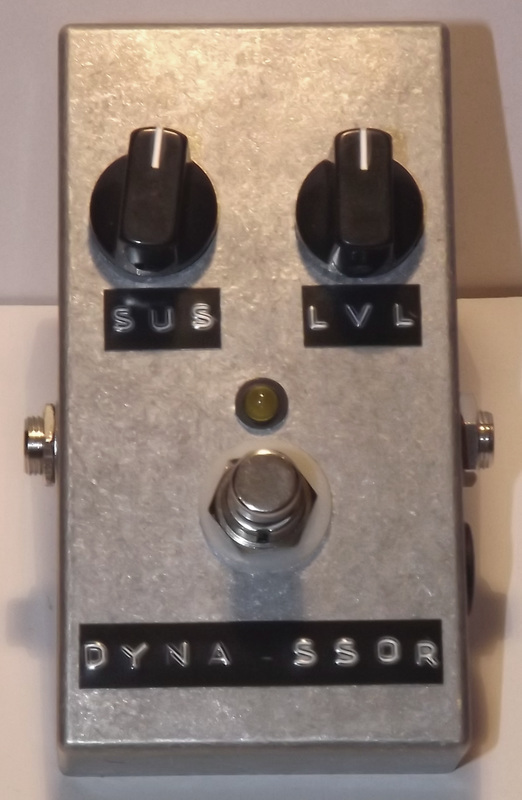 If you take a peek at my shop page you'll find a rarity - a P450 (Prescription Electronics Experience clone) for sale. Usually I can't make these fast enough and they sell before they're completed, so it's good to be able to have one available, ready to ship immediately. Get in touch if you'd like to give it a good home - but do it quickly as it won't be around for long! 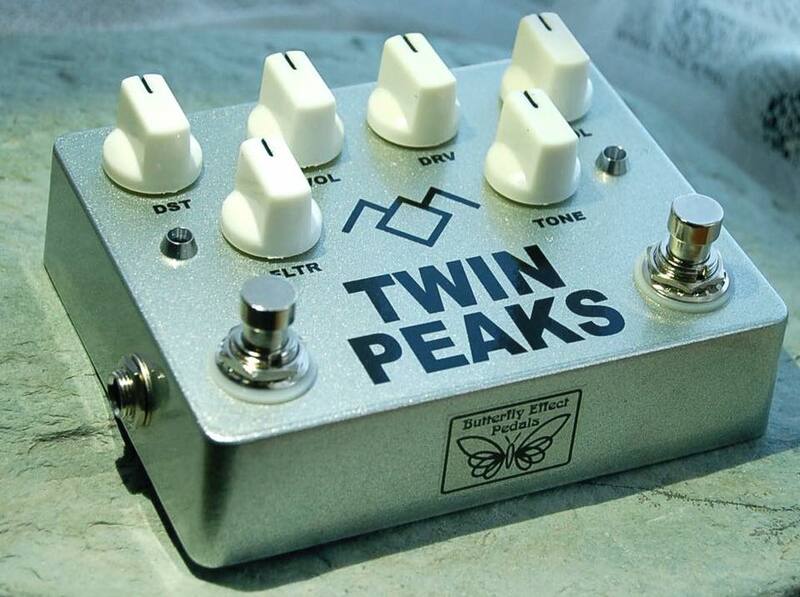 It's funny how a particular pedal can be suddenly really popular. A while ago I couldn't make Danger Birds fast enough. Now I have five confirmed orders, all for the P450 and P450+. 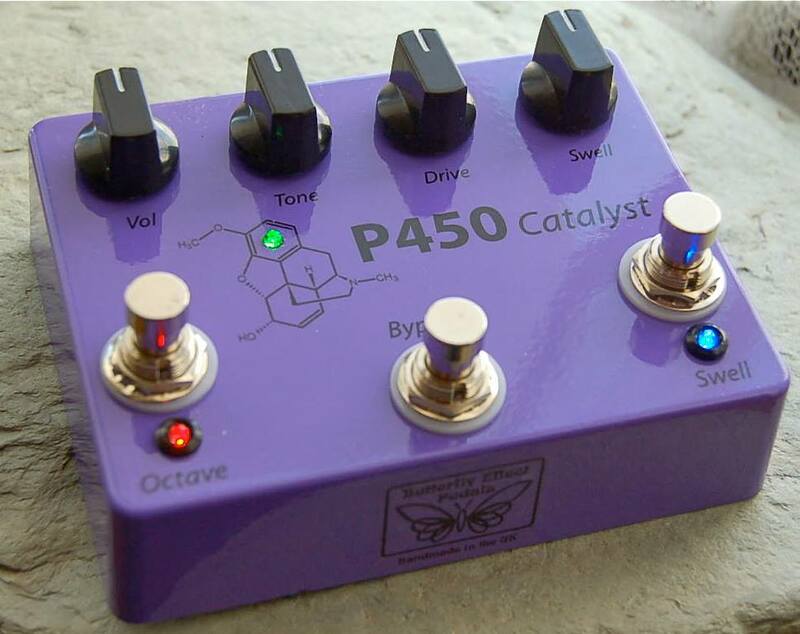 The P450 is a clone of the Prescription Electronics Experience pedal. 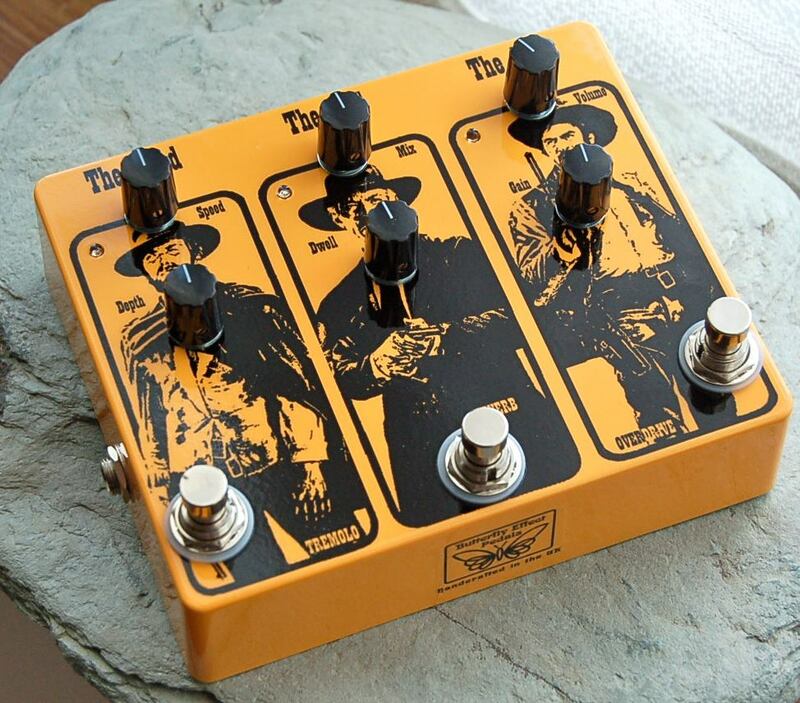 The Experience pedal comprises of the fuzz and octave fuzz parts of the Foxx Tone Machine, but with a few slight modifications - which make for a more pronounced octave-up effect. It also features an old swell circuit from the 60s, which works with the octave fuzz section. There is a short demo of the original Experience pedal by Doyle Bramhall II at around 5 minutes into the video below. 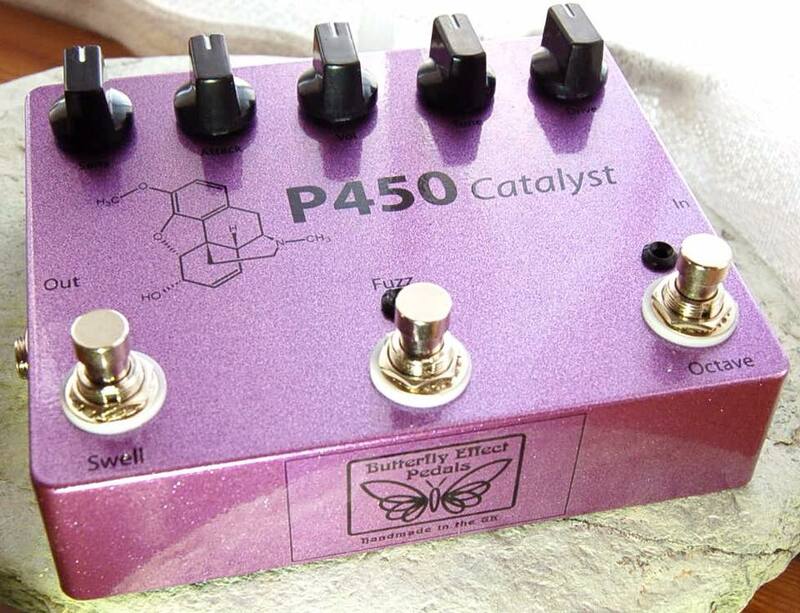 The P450+ is the fuzz/octave fuzz section of the original Experience pedal, but with an independent swell circuit which is based on the now obsolete Boss SG1 Slow Gear. 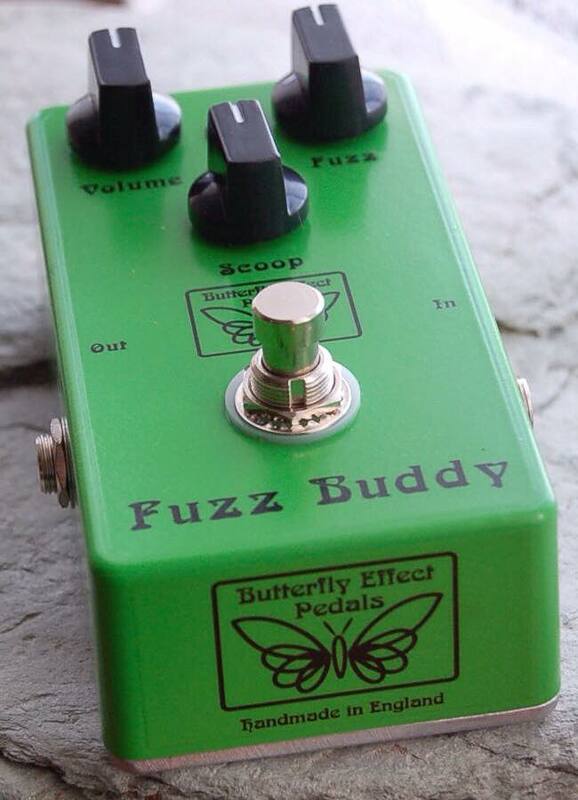 Another option is the Dust Bunny, which is the fuzz / octave fuzz sections only, without the swell. I have to say, I'm glad to see the back of 2017. It was not kind to me and the people I care about. I lost my mum to cancer late in the year, which made me take a much needed break away from the business of pedal making to gather myself. It hit me hard. Harder than I could ever have predicted. Then what should have been a very relaxing holiday over Christmas and New Year had me knocked sideways by flu. Not a cold, proper flu with a bonus dose of full-on labyrinthitis. I spent the entirety of the time in our expensive holiday let confined to bed trying to make the room stop spinning. I'm only just recovering from it now, with a really nasty cough that just won't give up and let me be. So apologies if I've been a bit quiet recently. The universe was busy kicking me, then kicking me some more. I've tried to stay as active as I can on the facebook page, as that seems to be where most people go. I regularly post photos and updates on things i'm working on there, so drop by and give us a 'like', if you'd like. I'm taking tentative steps at getting back into things now, and have decided to start taking on limited orders. Feel free to contact me if there's something you're interested in. I can't promise I'll be able to make it for you quickly, but if you don't mind a bit of a wait then I'm sure we can arrange something. Just a quick note to let you know that the range of colours for powder-coated enclosures has increased, so there's plenty of choice now. 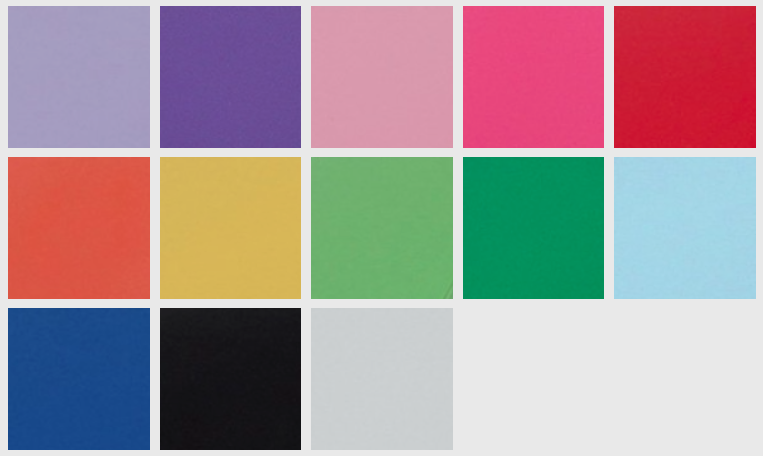 I can still spray paint your enclosure in a different colour if required, but these are the colours currently available in the pre-painted range. See the How To Order page for more info. Green! We like green, here at Butterfly HQ. This is the enclosure for the smallest Matamp style drive, based on the GT100 amp. Should be getting it wired up and into testing soon. 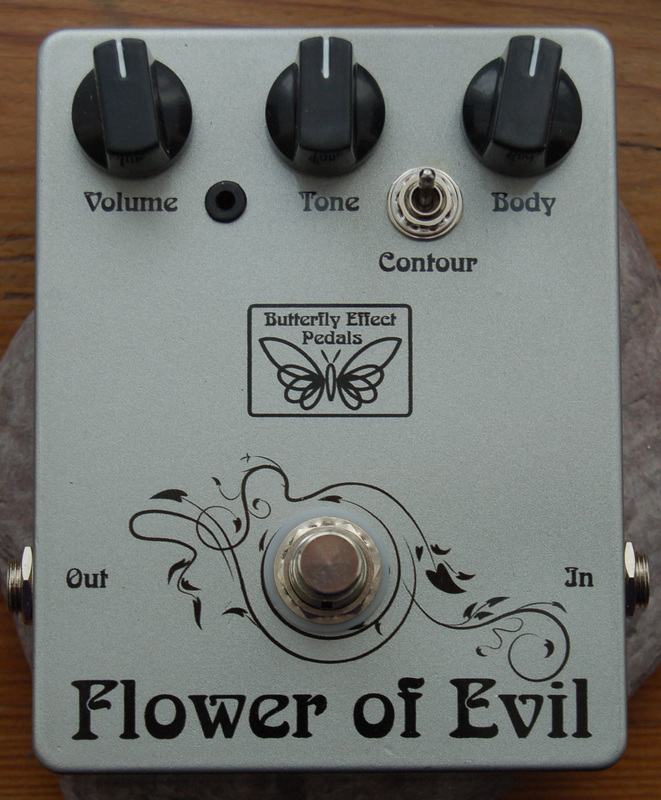 Once upon a time, I made a clone of the Experience Fuzz/Octave Fuzz/Swell pedal. While I thought the fuzzy side was great, with the greatest respect, the swell part left a lot to be desired. I heavily modified the swell section so it at least worked consistently, but ultimately, I was dissatisfied with it. After a recent enquiry, I had the idea to replace the ineffective swell circuit with a modified Slow Gear circuit. 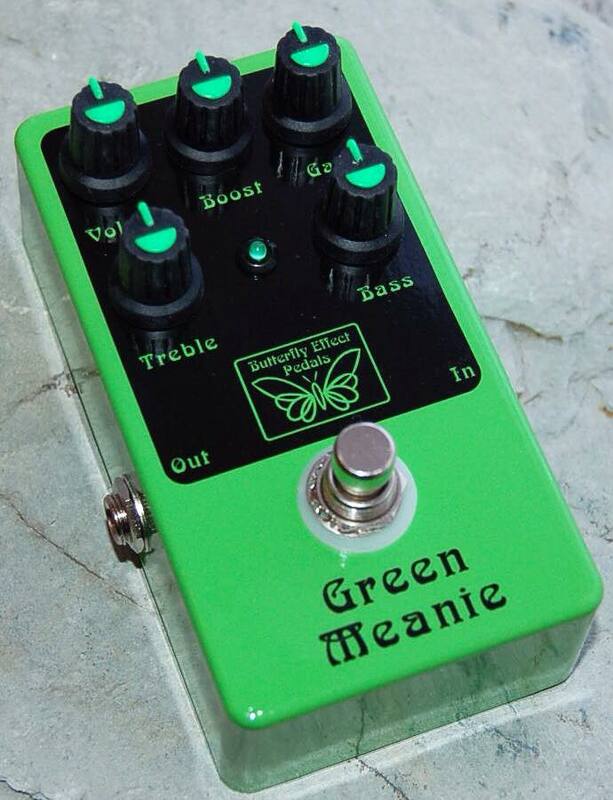 This has several advantages over the original: it works consistently; it works with the fuzz in both normal and octave modes (the original only works with the octave mode) and it also works on its own. So, it's a little bigger than the original, but I think it will be much more effective, not to mention more versatile. 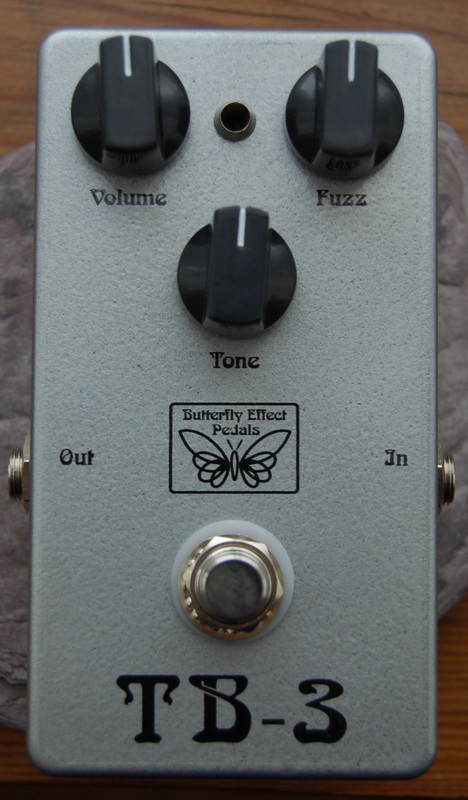 The fuzz/octave fuzz is also available without the swell circuit (as the Dust Bunny) , as I believe that quite a few people were interested in buying the Experience minus the sell section, and this was never offered for sale. 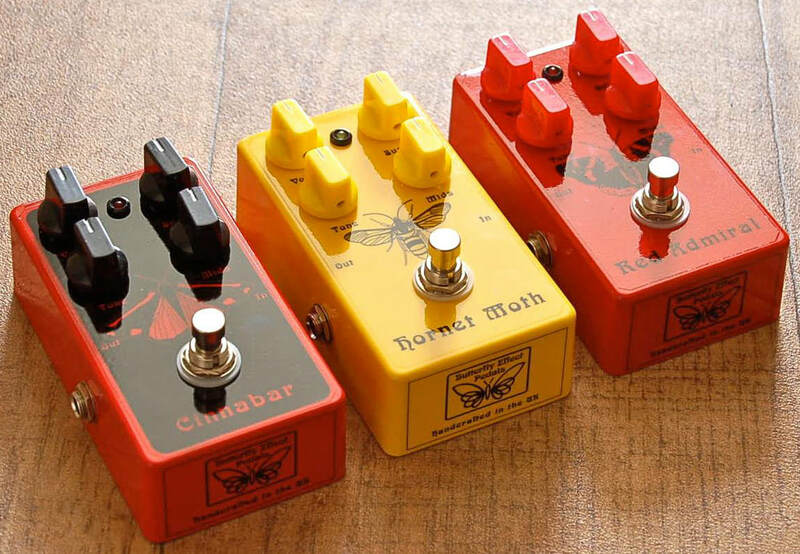 These are my take on some classic Muff circuits, in this case a V3 Red/Black, a V7 Green Russian and what was probably the first ever BM clone- the Jordan Creator 6000. These three are the first of a whole range which will feature some useful updates, such as a Mids control. V7 Green Russian inspired circuit. BC109C transistors (the numbers written on top are the gain values- each transistor is measured and selected) and polystyrene clipping filter caps. V3 Red/Black inspired circuit. 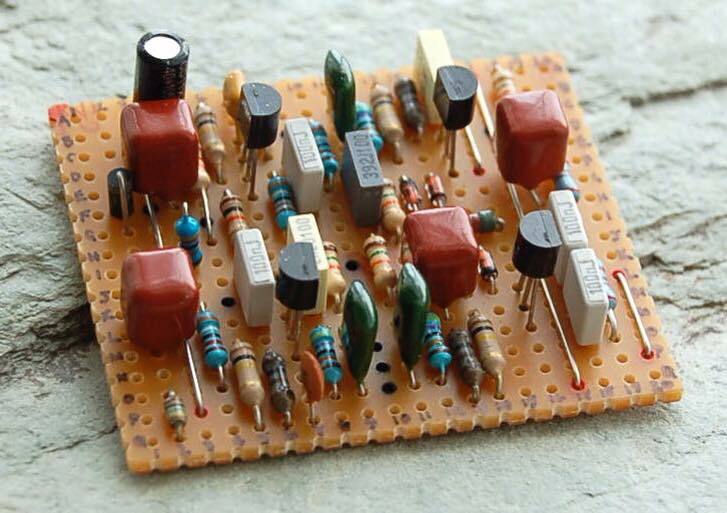 MPSA18 transistors, so lots and lots of gain here! Jordan Creator 6000-inspired circuit. 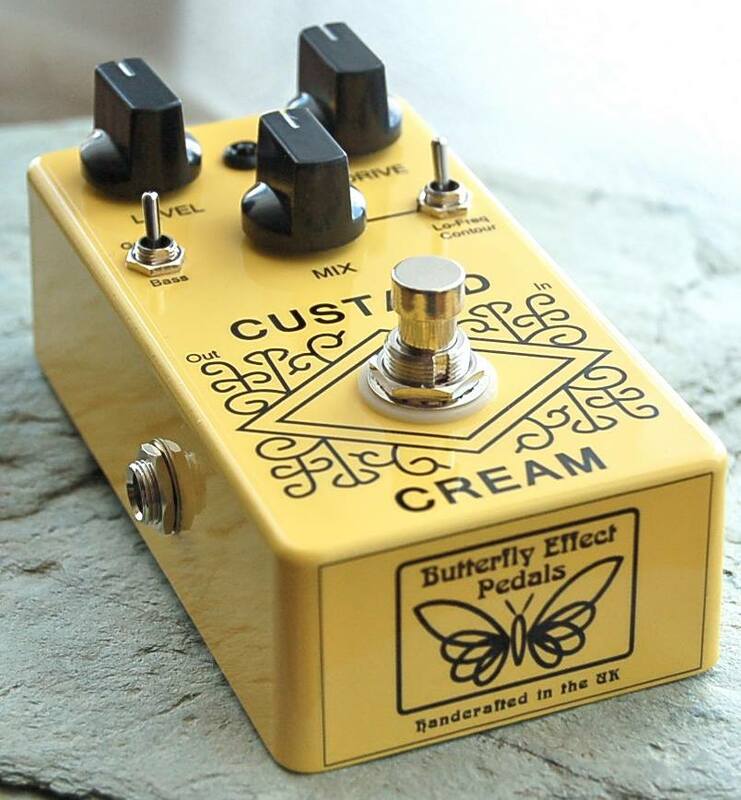 An old and rare Muff clone. The original was housed in a wah style treadle enclosure, which apparently wasn't particularly successful in its implementation. 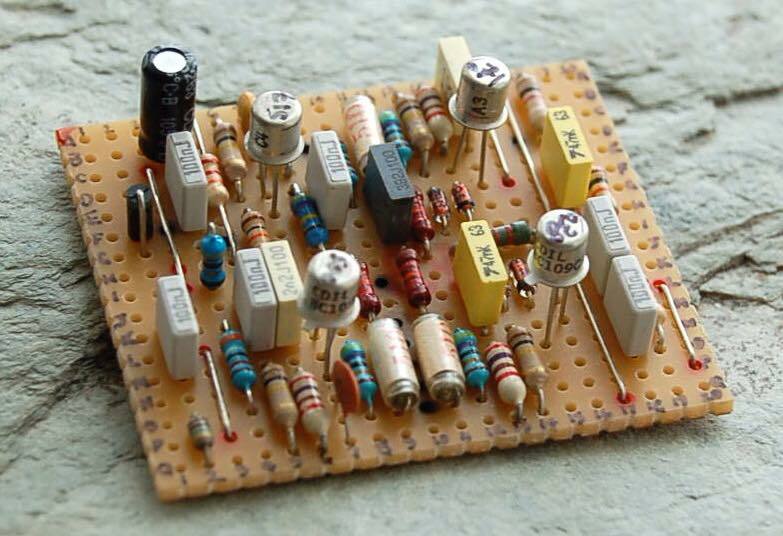 This one has some NOS ME4003 transistors. 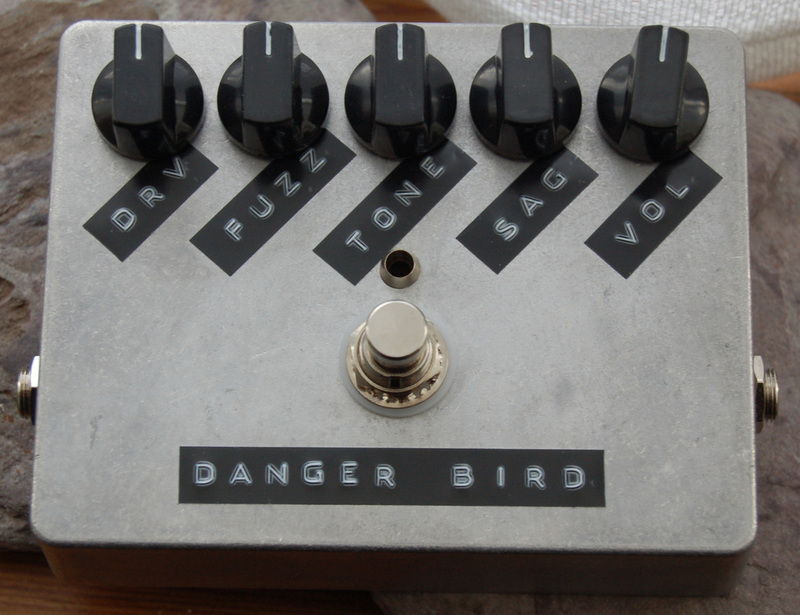 The eagle-eyed Muff aficionado (well, those that can read colour codes!) will notice some unusual component values, which is apparent in its sound. This comprises a Rat clone and a modified TS in a single enclosure. One of my favourite combinations! 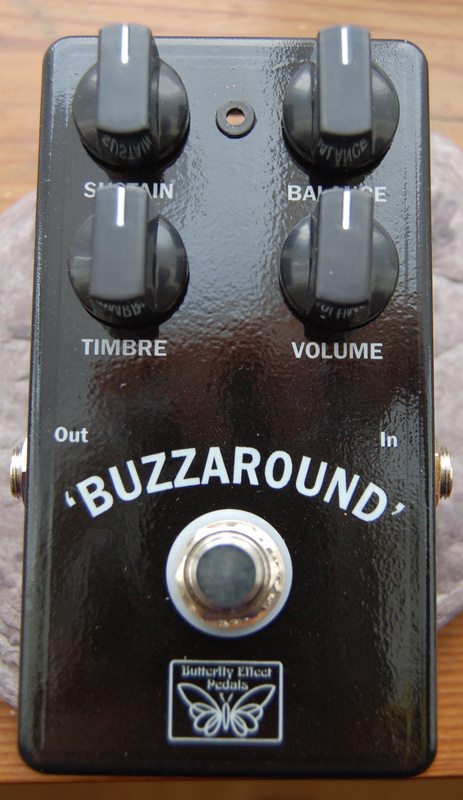 This has the Vox Treble/Bass Booster, Distortion and Repeat Percussion effects in one enclosure. 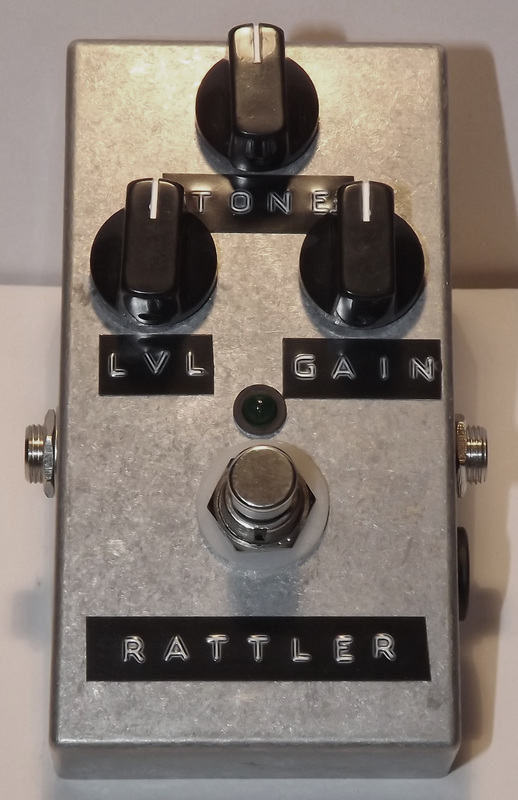 Tone Rodent Plus triple effect pedal with natural/Dymo finish at customer request. 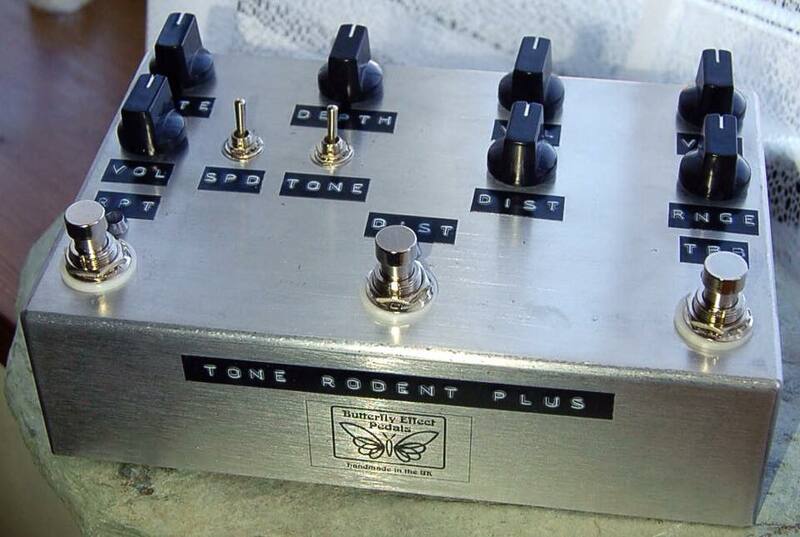 Tone Rodent Plus circuit for Garry. 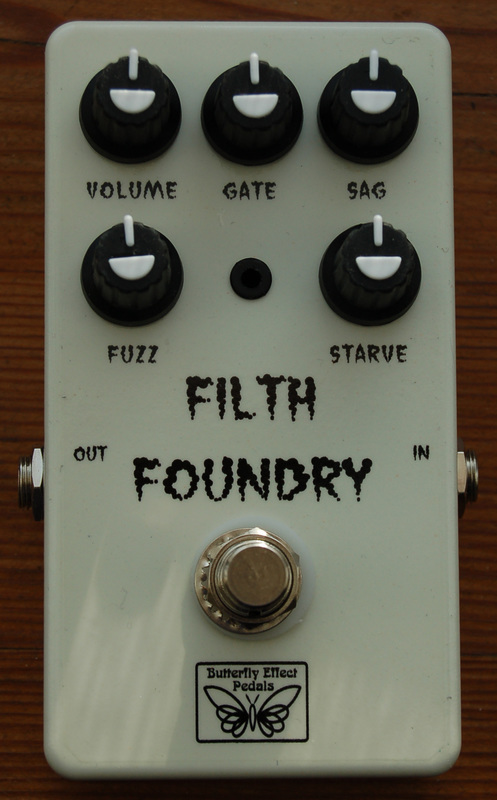 A dual dirt pedal comprising a Filth Foundry and a JCM800-inspired drive. Silver sparkle is definitely "in" at the moment! 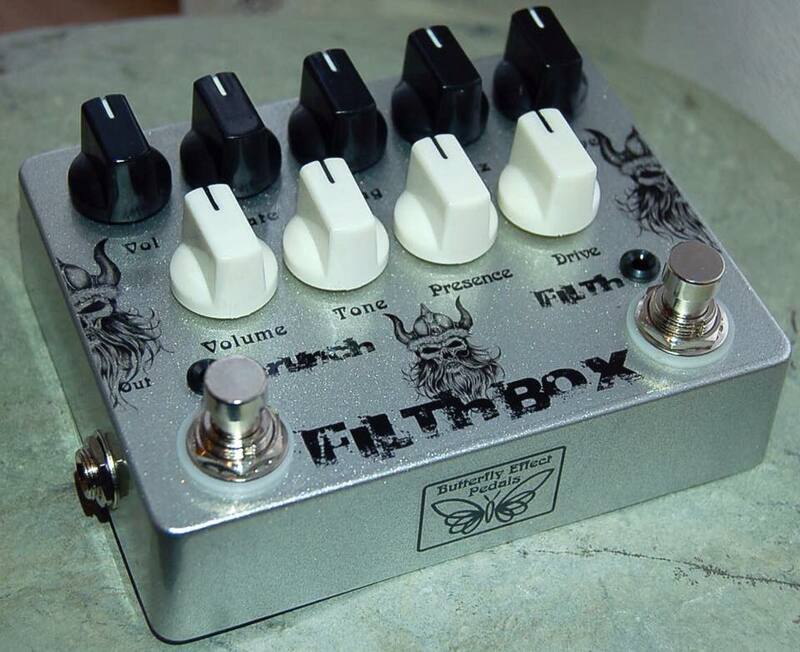 The Filthbox enclosure, loaded with hardware. Custom-built for Kevin. 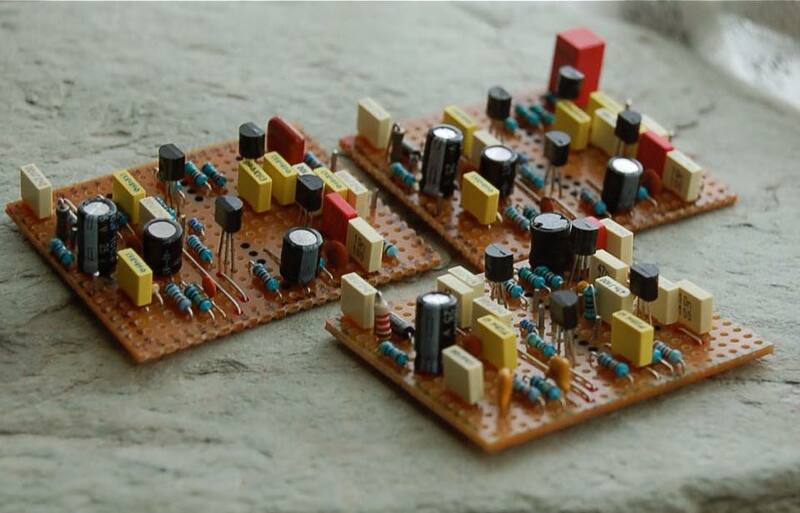 These are prototypes of JFET emulations of the Orange OR120 ('72 and '74 versions) and Matamp GT100. 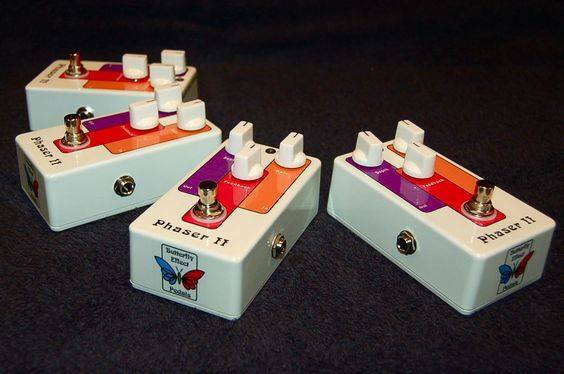 The OR120 pedals will come in two versions: a 125B sized pedal without the FAC switch (a 6-position rotary switch that progressively filtered out the low-end) or a 1590BB sized pedal with the FAC. I'm planning to do the GT100 in three flavours: 125B with no FAC (or Bass Boost as I think Matamp called it); 1590BB with FAC and a larger version with the FAC and Drive rotary switch. These three circuits are the proof of concept prototypes and are currently pretty damn close to the originals, save for the JFETs! 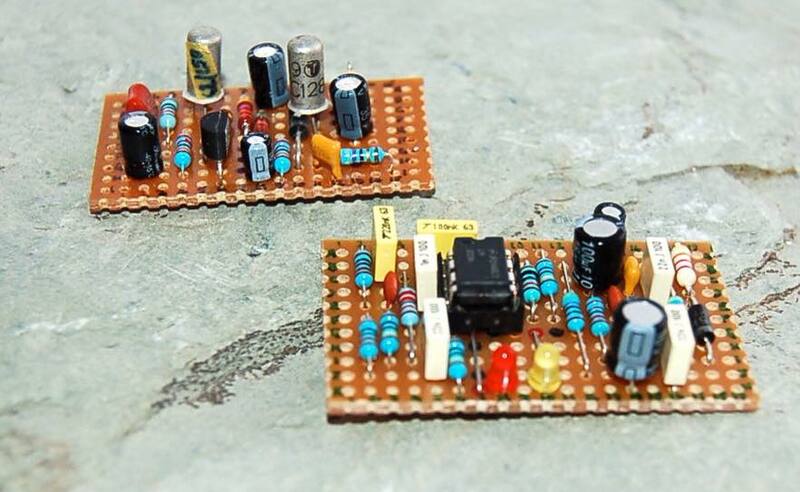 Both the '72 OR120 and GT100 boost circuits contain inductors, just like the original amps. I can't wait to get these into testing phase! You may recognise the mug on the drum kit. 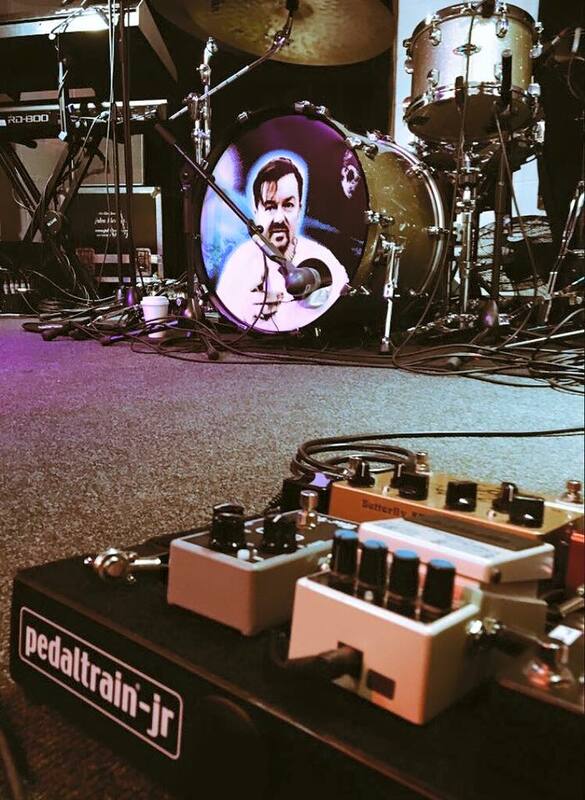 I was pretty chuffed to see this photo, taken and shared by none other than Ricky Gervais - as it shows one of my pedals, the Double Arrow, on the David Brent's 'Foregone Conclusion' guitarist's board. 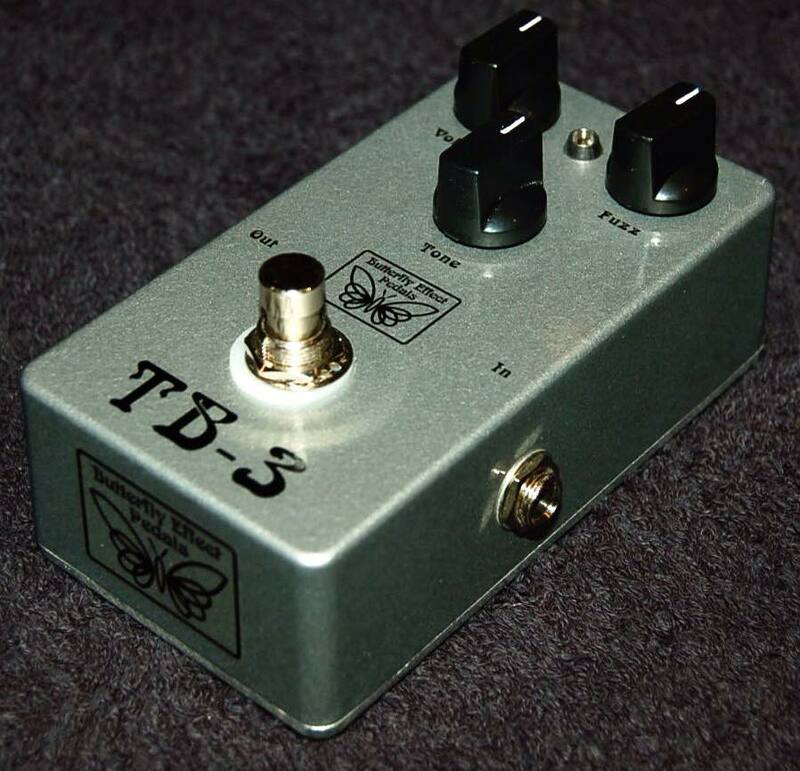 Tonebender Mk III clone. 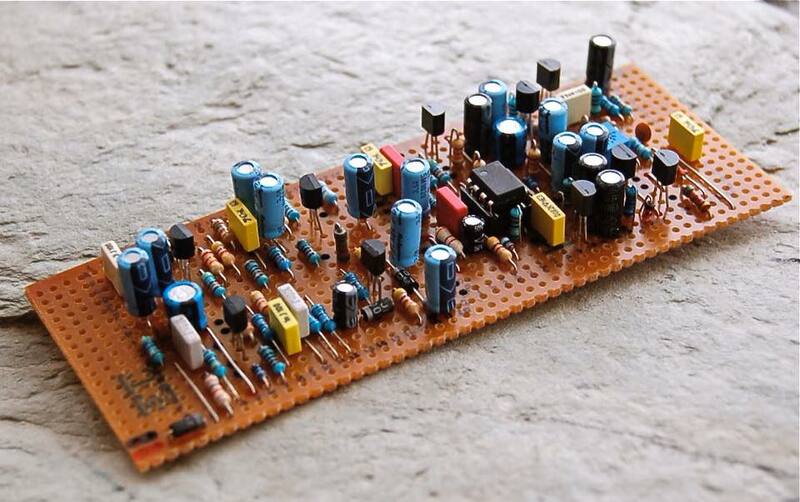 This one has lots of mojo components, such as carbon comp resistors, Mullard C280 "tropical fish", ITT and Philips capacitors and selected Germanium transistors. There's also an onboard voltage inverter discreetly tucked away, which means it can share power supplies with other pedals. I ostensibly built it for myself, but as usual, if anyone fancies it, just holler! 2016 was a bit bonkers. Too much questionable politics, too many deaths. Here's hoping 2017 is kinder to us all. ​Apologies for the radio silence and lack of updates. I had to take some timeout from making pedals this year due to illness, but I'm back on the horse now and taking orders again. 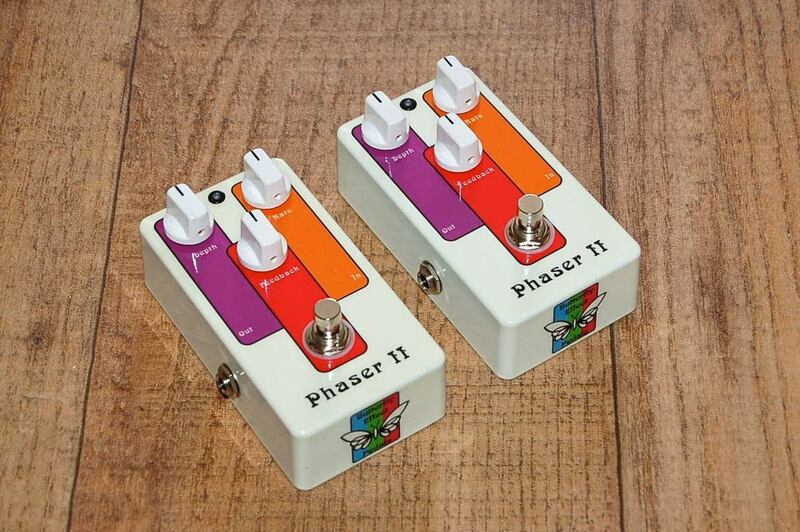 ​Just recently I've completed a couple of nice pedals. This comprises a Rat clone and a modified TS in a single enclosure. Lovely silver sparkle finish on this one. 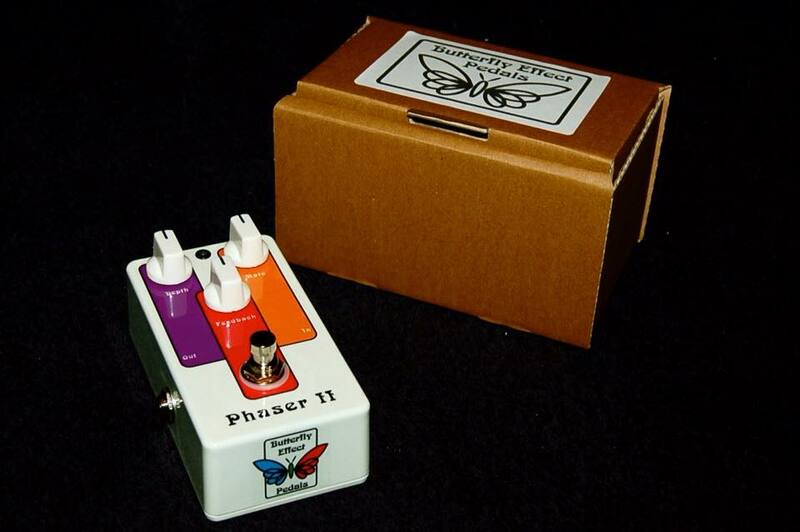 The Fuzz Buddy is based on the Shin-Ei FY-2 Companion Fuzz, with a volume recovery stage, scoop mod and more range on the fuzz control. An utterly nasty, snarling, little beastie! 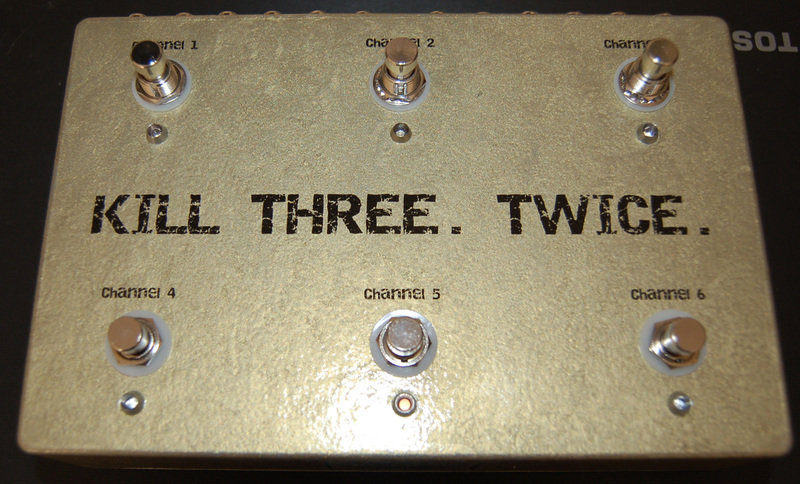 This has the Vox Treble/Bass Booster, Distortion and Repeat Percussion effects in one enclosure. Unpainted with dymo labels finish. I've been working hard at completing all of my outstanding orders recently. The second batch of the big re-house job is finally complete and has gone to its new home. As well as the re-housed effects, it also included new builds of a Chevron One (Boss slow gear clone) & clone of EHX Electric Mistress flanger. 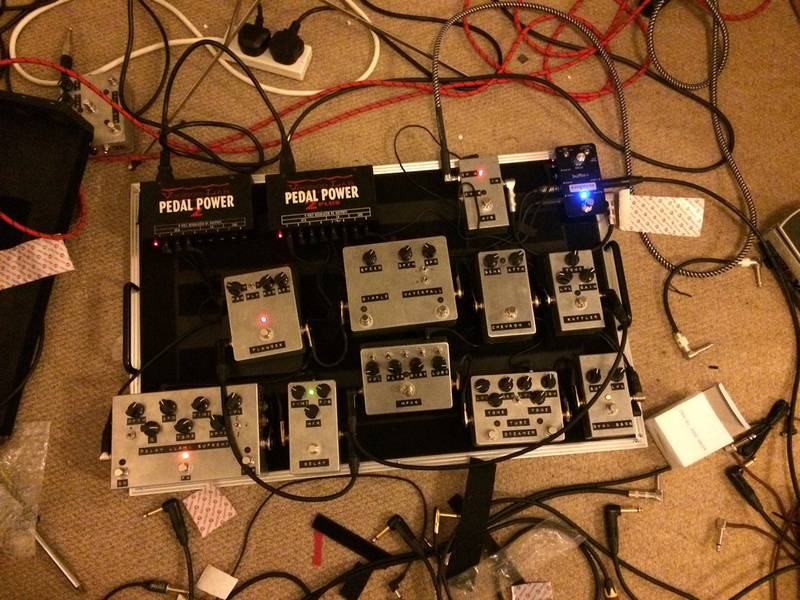 Below is a photo that the customer sent me of all the pedals being installed on his board. And the Filth Foundry for a studio in Chicago is nearly finished. 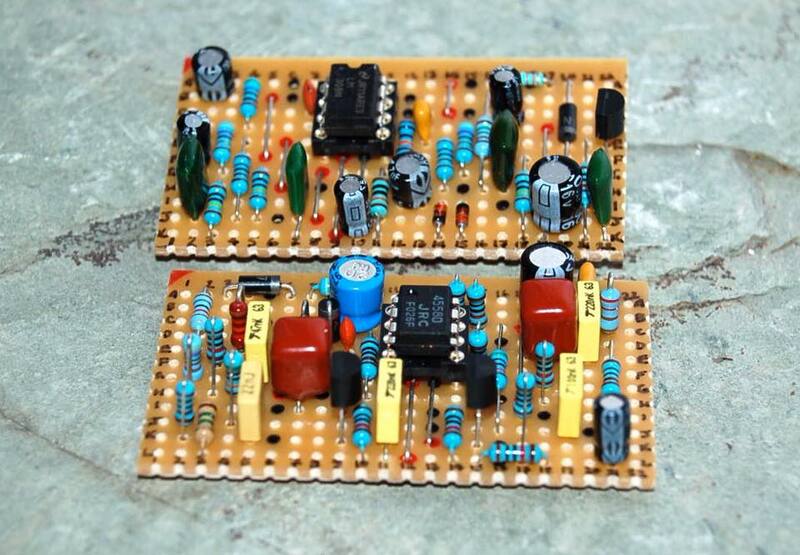 I've been working on a couple of Tonebender MkIII circuits as an experiment. I have an order for a Tonebender MkIII with an on-board voltage inverter (so it can be used alongside standard negative ground pedals) which is built with modern components, which are smaller and have closer tolerances. 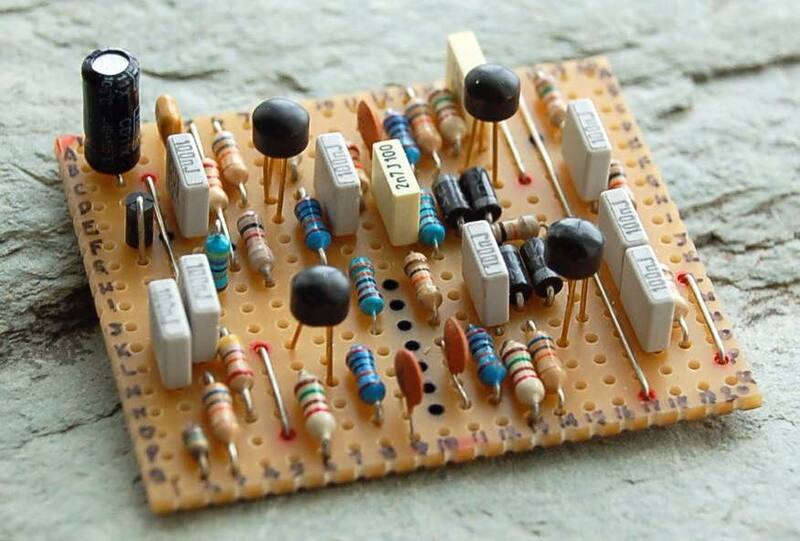 I thought I'd build a 'vintage correct' circuit at the same time, using NOS Mullard C280 'tropical fish' capacitors, axial electrolytic capacitors and polystyrene capacitors, along with carbon-comp resisters. It'll be interesting to compare the two against each other when they're built. I suspect there will be little between them - and any differences would more than likely be down to the transistors than anything else. I don't think there's any right or wrong way of doing it. Some people like the 'mojo' of using vintage components, so it's just like the original units, whereas that sort of thing doesn't matter to others. I thought it might be interesting to post a few in-progress pics together, so you can see the various stages in the build process. People seem to be interested in this kind of stuff. Sanded, drilled, primed and then painted enclosures. Quite a lot of work goes into the boxes just to get them to t his stage. Next I apply the artwork decals. This is delicate work and can involve hours of work to get a really good finish. Once the decals are dry, several coats of laquer are applied. Then it's time to load the external hardware before wiring up the insides. Plain box / Dymo label pedals are quite popular right now. I'm not complaining - it's a bit cheaper for the customer and it reduces the build time by removing the prime / paint / decal / lacquer stages. 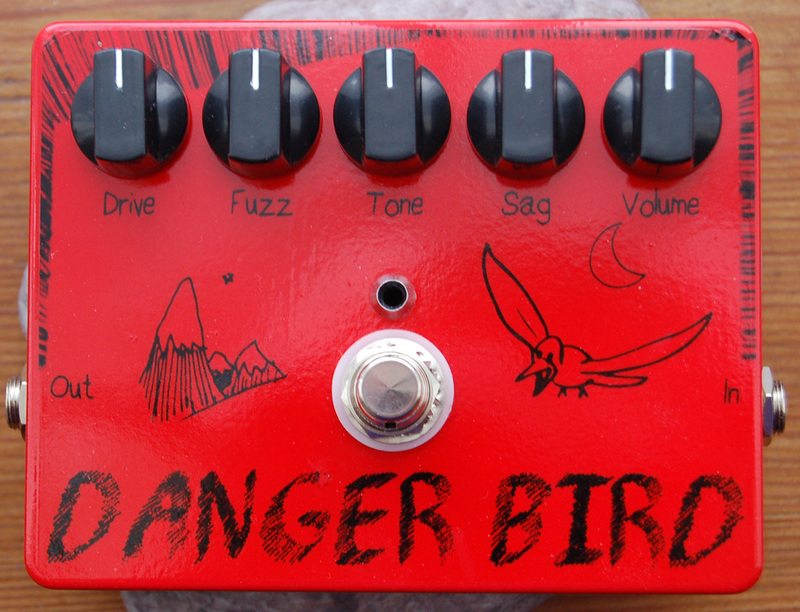 This is a Dangerbird that I'm making for someone. 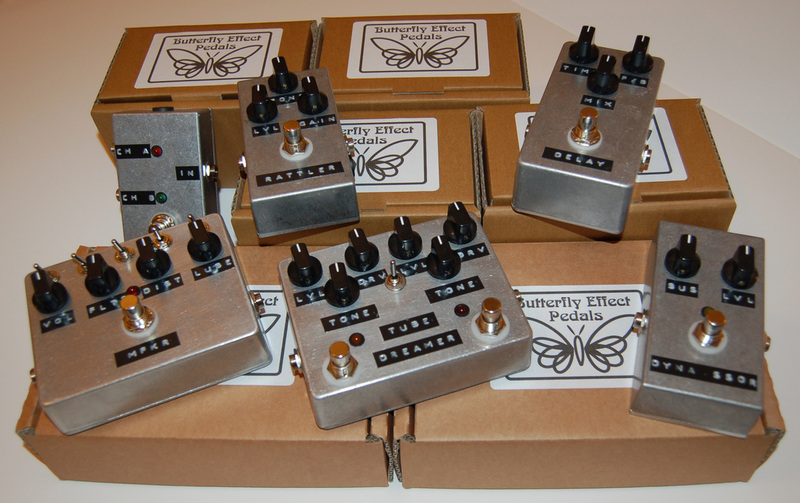 The first batch of an order for 11 pedals is shipping tomorrow, but not before I share a picture of them. A re-housed Rattler from a multi-effect unit. 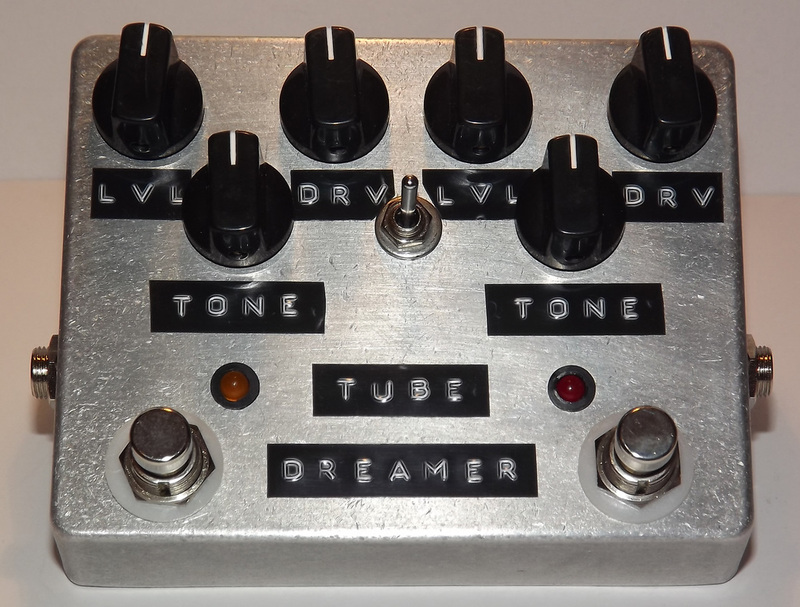 A re-housed Tube Dreamer dual overdrive from the multi-effects unit. 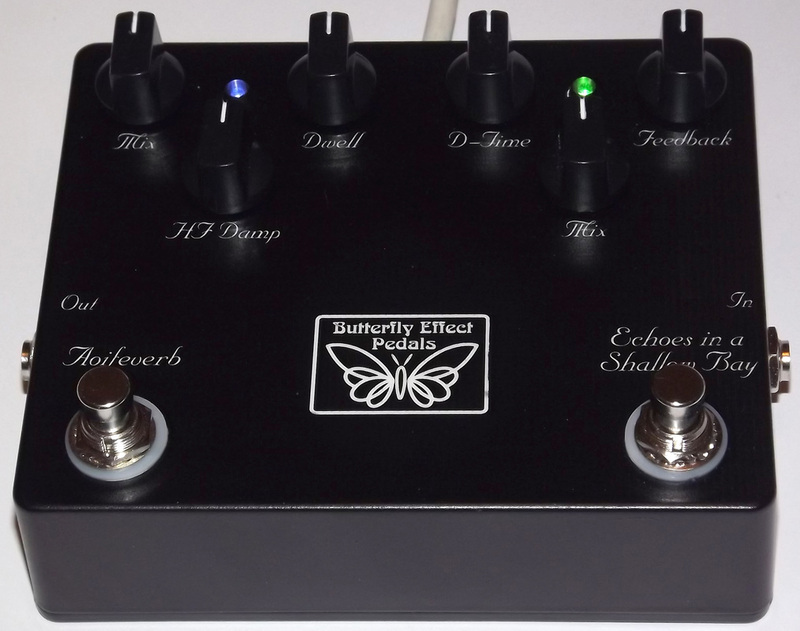 The customer didn't get along with the multi-effects unit and wanted the effects re-housed into separate enclosures, as well as some new pedals from my range. He also likes the plain box finish with labels, so we've gone for that look for the whole suite of pedals. More to follow. This beauty is off to the post office tomorrow, on the way to its new home. It's a dual pedal, with the Echoes In A Shallow Bay delay and Aoifeverb reverb (otherwise known as the Tiny Dynamine - or the Moon Sounds Reverb in the USA). The effects can be used independently, or both together. 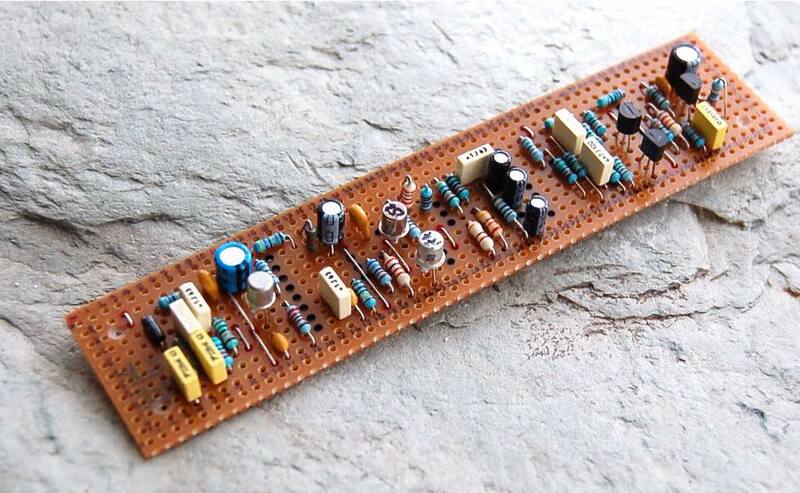 The delay has a hand-picked PT2399 delay chip and a Burr-Brown OP2134 high quality Op-Amp. One of the things I have on the go at the moment is rehousing into individual and dual enclosures, all of the effects from a multi-effects unit. 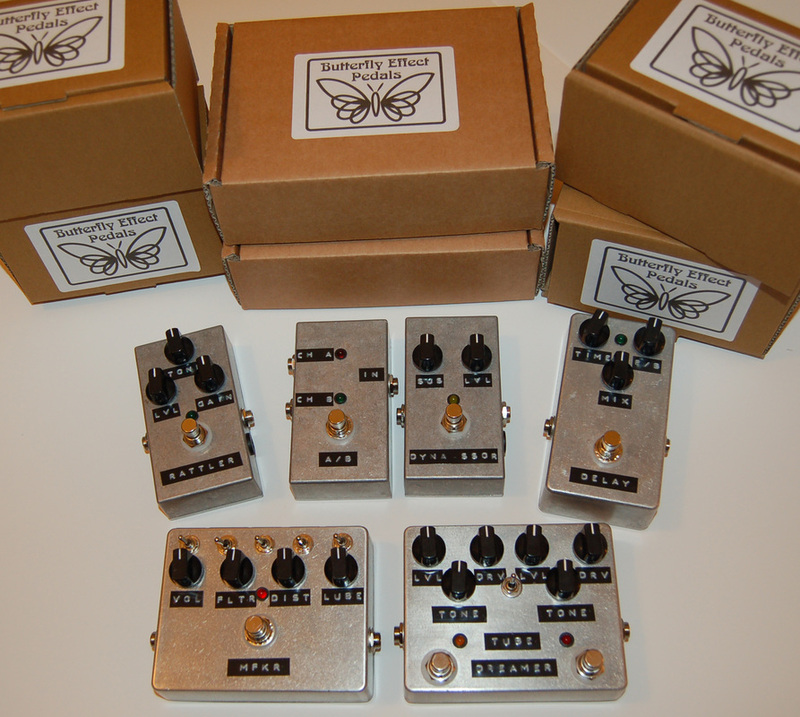 This was a custom-made multi-effects unit that the owner just didn't get along with, so I'm giving them new homes. The whole set of 10 pedals I'm making for him are all in the unpainted metal box with labels finish. They'll look great all together. Apologies for the less than great photos. They are really difficult to photograph without natural daylight. I might try to get some better pics at the weekend.